Plans to make further savings to the £2bn bill for legal aid in England and Wales have been announced by Justice Secretary Chris Grayling. Consultation on plans to cut criminal case costs, including lawyers competing for contracts, starts in April. And he announced powers to sell guilty defendants' cars to recoup legal costs. It follows a warning from Supreme Court President Lord Neuberger that legal aid cuts already going ahead in civil cases may restrict access to justice. Savings of up to £350m have already been earmarked by removing legal aid for a range of civil cases including those involving social welfare debt, employment, family problems, clinical negligence, divorce and housing problems. But Mr Grayling said in a statement: "Criminal defence represents by far the largest element of our remaining legal aid spend, where we are still spending over £1bn a year." The government's announcement of yet further plans to cut legal aid - this time in relation to criminal cases - comes on the heels of its aim to save £350m a year in civil legal aid. It is that set of cuts, which begin in April, that led Lord Neuberger to speak out. Traditionally the judiciary steer clear of commenting on government policy. To do otherwise would compromise the independence of judges. However, when government policy affects the justice system, senior judges do occasionally break ranks and comment. Reduced access to justice and its effect on the rule of law is an area where they are particularly inclined to comment. In the past the Lord Chief Justice, Lord Judge, has spoken of similar fears that cutting legal aid might undermine the rule of law, with people resorting to violence. Lord Neuberger acknowledges tough economic times call for cuts, but clearly feels that any which threaten the rule of law should be rethought. He added: "We are working to improve the efficiency of the criminal justice system as a whole, to move towards swifter resolution of cases before the courts." Mr Grayling said the consultation paper on plans - including introducing price competition in the criminal legal aid market - would be published in April. Tendering for contracts would be opened in autumn 2013 and the first contracts would "go live" in autumn 2014, he said. 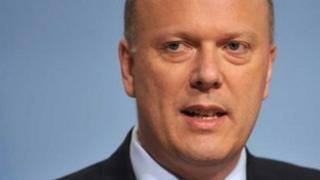 Mr Grayling said the consultation would include further "proposals to both improve the credibility of the legal aid scheme and reduce its cost to the taxpayer". Those proposals have yet to be announced. Meanwhile, the Bar Council, which represents barristers in England and Wales, warned that "a model based on price competition is a blunt instrument". "It assures none of the safeguards and qualities which we must expect from our justice system," chairman Maura McGowan QC said. She added: "Decisions on allocation of work must be made on quality and not on money alone." The Ministry of Justice also announced new measures on Tuesday to clamp down on criminals hiding their assets to qualify for legal aid under the "Crown Court means-testing scheme". From July 2013, a defendant's car can be seized and sold if convicted to help recoup their legal costs. Other measures include making criminals pay the entire cost of their defence if they refuse to take part in means testing. Mr Grayling's statement follows a warning from Lord Neuberger - the UK's most senior judge - that cuts to legal aid in civil cases, which will come into effect from April, could make people feel they cannot access justice and could then "take the law into their own hands". He told the BBC: "My worry is the removal of legal aid for people to get advice about law and get representation in court will start to undermine the rule of law because people will feel like the government isn't giving them access to justice in all sorts of cases." Mike Dixon from Citizens Advice said the legal aid funding it received paid for "really in-depth, specialist advice, when people's problems have really become difficult". "So what we're going to have to do is be creative about it, help people using less money and giving them actually slightly less in-depth advice, and that is a tragedy for many many hundreds of thousands of people," he said. Funding will continue for some civil cases including family law involving domestic violence or forced marriage and debt and housing matters where someone's home is at immediate risk. The Ministry of Justice said legal aid would continue to be provided to "those who most need it". Lord Neuberger also said it was "unfortunate" that Home Secretary Theresa May had attacked judges for "ignoring" rules on deporting foreign criminals. But he said he would not get into a "slanging" match with Mrs May. The interview came two weeks after Mrs May accused judges of making the UK more dangerous by ignoring rules aimed at deporting more foreign criminals. She told the Mail on Sunday that they were choosing to "ignore Parliament's wishes".